As far as most audiences were concerned, Assassin’s Creed didn’t exactly build a strong case for continuing to make movies based on video games (I’m in the minority on that one), a pursuit that has proven consistently disappointing over the last few decades despite occasional box-office success. 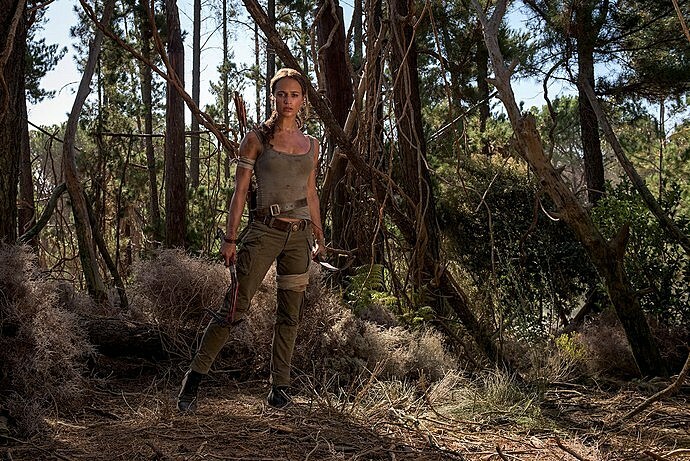 But maybe things will finally change with the release of Tomb Raider, in which Oscar-winner Alicia Vikander takes on the iconic role of video game hero Lara Croft. She certainly looks the part in the first photos from the film, which hits theaters next year. Dominic West (The Wire) plays Lara Croft’s dad, and Walton Goggins plays the villain in the new Tomb Raider movie, which hits theaters on March 16, 2018.